The R1 is a passive, long-geometry ribbon microphone based on a 45mm, 1.8-micron aluminum ribbon and a pair of Neodymium magnets. The output transformer is of Chinese origin. The ribbon is mounted in an offset fashion, which means that the front and rear of the microphone provide two different colors of sound. Therefore this mic is not an ideal choice for applications in which equal response from a figure-of-8 mic is required, such as mid-side or Blumlein. I found the mic to have more top end clarity and sparkle than most ribbons. …on electric guitar via an Orange guitar cab — a bright, ever so slightly harsh source… positioned slightly off from the centre of the speaker, and about 15cm away, the R1 did its magic once more — a nicely gritty sound without any hint of harshness. It seemed to pull up the mid-range (about 2kHz) nicely, bringing out some presence in the guitar sound… For comparison, a Royer 122 was placed in the same position, and this sounded just that little bit harder, and in all honestly a touch fuller in the low mids than the R1. It’s a subjective call, but in this particular case the R1 won to my ears. The lack of a noticeable proximity bump means that, with care and a good popshield, you can get the [voice] talent right onto the R1, giving an intimacy to the sound that counters the slightly attenuated HF response. The result is a voice that oozes depth and warmth. I always evaluate microphones for spoken word. The engineer assisting me agreed that the R1 might be the most flattering dialog mic we’ve yet tested. It doesn’t give your voice the sound of Orson Welles but it sort of imparts a certain sonic authority on a voice. I also thought the sound of the mic well suited for drum overheads and horns. 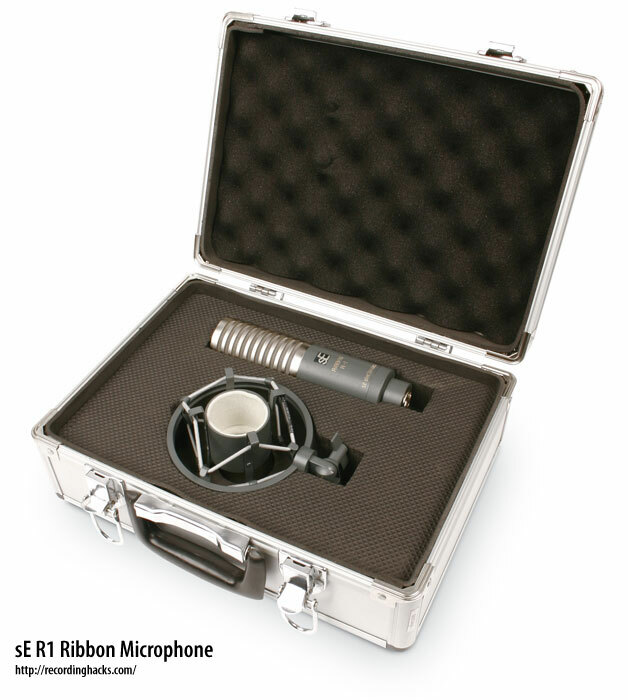 The mic ships with a spider shockmount and an aluminum flightcase. The 5-year warranty includes 3 ribbon replacements. The R1 was discontinued in 2010. 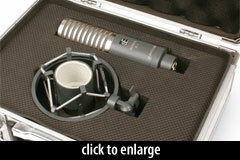 The SE Electronics R1 is also known as: R-1.